Blugold Radio 99.9 FM and Powertex Group are proud to bring Ben Shaw to TheMetro in downtown Eau Claire. 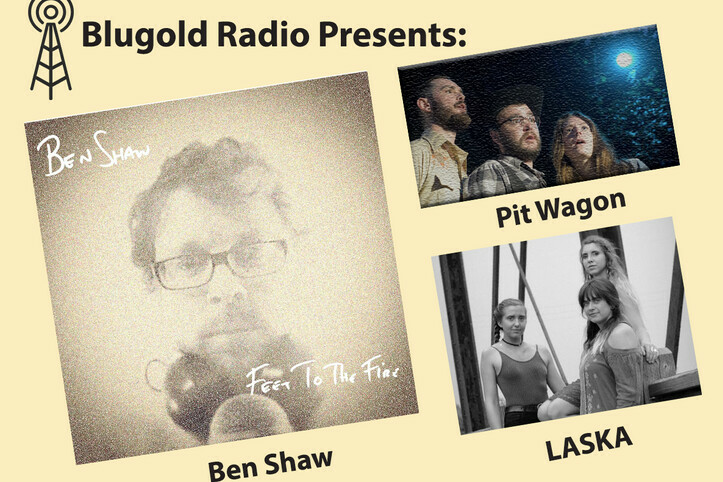 Shaw will be joined by local bands LASKA and Pit Wagon for a special night of music not to miss. Ben Shaw: Ben Shaw is a singer-songwriter happily ensconced in the Hollywood Hills. Ben's music is a song-driven, modern folk where lyrical melodies are sung with barroom grit, embellished with psychedelic Americana. After a decade or so of avoiding the spotlight, Ben released his first full length album in over 15 years while preparing for the blinding limelight again. At the dawn of 2015, Ben found himself in a funky little musical house filled with recording gear, guitar pedals, and two loving musical guides. In the ensuing 6 weeks, a spiritual, creative relationship began, which culminated in his new release, "Feet to the Fire," a sonic painting, which embodies the love and experiences he has been given in his life by so many. LASKA: LASKA based out of Eau Claire, WI and Minneapolis, MN provide the perfect soundtrack for embracing the beauty in pain. Songwriting sisters Hannah, Becca and Mookie weave influences of Alternative, Americana and Desert Rock with raw emotion in their songs. They are all confident vocalists knowing what each will bring to the table to sing lead, but also support one another with beautifully hard-hitting harmonies. Topping off the harmonic sheen is an instrumental arsenal including violin, guitar, banjo, mandolin and ukulele. Combine this with an un- apologetic rhythm section in tow and the whole of this band is far greater than the sum of its parts. Pit Wagon: Pit Wagon plays music for porch-sitters and sippers. With strings and voices, they share true stories that everybody knows—tough luck, rough nights, and rougher neighbors. Just like Wisconsin’s beer and cheese, their dirty country sound and lyrical folk wisdom leave a lasting and authentic aftertaste.